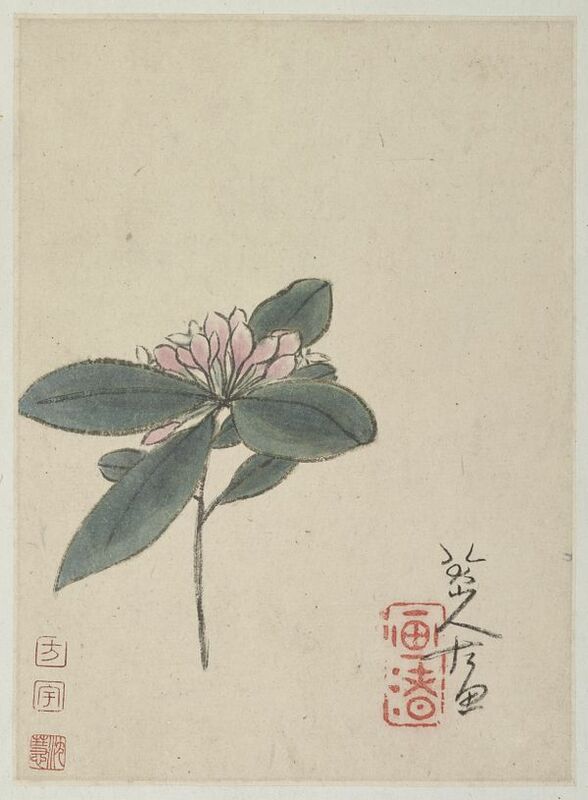 Although Bada Shanren occasionally painted lilacs, the flower lies outside his normal repertory. It is also highly unusual for him to use such deep, opaque colors. Under his signature, Bada impressed a unique seal that may be read as the Chinese character for “mountain,” an original and graphically striking addition to the composition.